Do you want to replace the siding on your house? If you live in Crestview, Florida, or a surrounding community, turn to Majors Home Improvement. 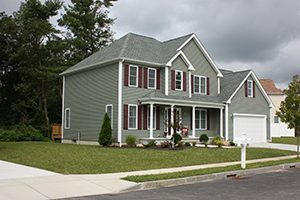 Since 1997, we have helped homeowners beautify their homes with our various renovation options, including vinyl siding installation. We install our very own Majors Select™ vinyl house siding for our customers. This siding is available in a range of colors, all of which resist fading. All of our installers are dedicated, full-time employees, not subcontractors, and have factory training to install our products. We hold an A+ rating with the Better Business Bureau and have also won industry awards, which signifies how committed we are to our customers and providing a pleasant experience. We offer complimentary consultations during which we provide free estimates and discuss our siding options. Our siding features a high-performance finish, which means it will resist scratches and other abrasions easily. Plus, it’s constructed with a thick foam underlayment to provide an additional barrier against the elements and offer exceptional energy efficiency for your home. With this blanket of insulation, you won’t need to run your heating or cooling system as frequently to maintain a comfortable indoor environment, potentially leading to savings on energy costs. If you’d like to discuss having new house siding installed at your residence in Crestview, FL, or a nearby city, contact Majors Home Improvement today. When you do, feel free to inquire about our financing options for qualified homeowners.